The Victoria Police Armed Robbery Squad has long been considered the hardest and most feared group of Victorian detectives. They operate without fear or favour. new nemesis on the street: a vicious bandit prepared to shoot robbery victims – and detectives. The Armed Robbery Squad men, for so long the hunters, have become the hunted. As Malone builds a unique and unexpected bond with the squad he is enticed into a sometimes dark, seedy and seductive world where right can be wrong and wrong can often be right: a grey world of honour versus politics. “Heat” meets “Animal Kingdom” in this gritty and dirty crime saga. political powerbrokers. Honour versus politics in a grey world where nothing is as black and white as the media makes it appear. Paul Anderson spent fourteen years as a police reporter with the Herald Sun before becoming the newspaper’s chief court reporter in 2009. He has won team Walkley and Quill awards for crime coverage and most recently won a joint Quill for the Best Feature in Print. Paul is the author of five true crime books. This is his first novel. And I certainly hope it is not his last: the writing is assured and fluent, the background stories authoritative and cohesive, and the central plot(s) keep you reading right until the end. The style of policing administered by the Robbers (The Victoria Police Armed Robbery Squad) has become unpopular with the general public, answering violence with violence. And through the thread of the investigation into a spate of armed robberies the author asks the question: whether the Robbers are morally better than those they hunt. And they are not above a little bit of corruption here and there. But we ask ourselves whether that is the price we pay for feeling safe in our beds. 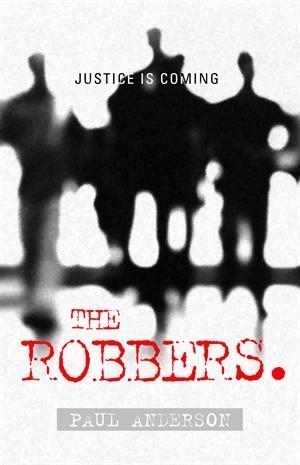 THE ROBBERS is noir and gritty, and reminds me a lot of the new breed of Irish writers. And yet there is definitely an Australian flavour to it, not just the colloquial language and the Melbourne setting.